When your young ones get hurt, as a parent, you’re the first person they look to make them feel better. There are a few essential first aid tips you should know to make sure your child doesn’t have a severe injury and what to do when your child gets hurt. Here are some common first aid questions. 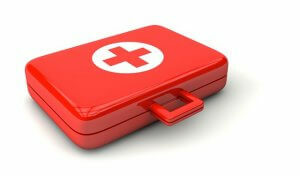 Q: Should I have a first aid kit? A: A first aid kit should be every home’s must have item, as accidents happen any time and you want to be prepared with the right equipment. Q: What should be in my first aid kit? A: Some first aid kit essentials include: alcohol wipes, allergy medicine, antibiotic ointment, bandages, gauze rolls and pads, hydrocortisone cream, latex-free gloves, and pain relievers. Q: How do I properly clean a wound? A: Be sure to thoroughly clean your hands prior to treating any injury to avoid infection. If you are using any tools such as tweezers or scissors, clean the equipment with rubbing alcohol prior to use. After treating the wound, apply necessary antibiotic ointment, bandages, gauze, or ice. Q: Do cuts heal quicker under a bandage or when left to “breathe”? A: Bandaging can prevent infections and scabs when a cut is fresh, but after a few days, letting the cut breathe can speed up the healing process. Q: When should I seek medical attention? A: If you’re faced with injuries that don’t seem to be healing properly, have been infected with a tick bite, suffering from a nosebleed, or skin has been burned, seek medical attention. Our medical center open 7 days a week and is fully equipped with an on-site lab and digital x-rays to fully diagnose your injuries to aid in the treatment of your injuries. 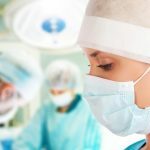 We will also developed a health plan tailed to your unique medical needs. Our primary care physicians have years of medical experience to not only treat your medical needs, but also follow up to make sure you’re in overall good health. At Centennial Medical, we want to make sure every patient feels at ease and come to us for any medical concern that needs to be addressed. We offer comprehensive preventative care as well as standard screenings such as cardiac testing and bone density screenings. We also provide therapeutic phlebotomies, IV therapy, and clinical injections. For more information about the services we provide, please call to speak with one of our medical professionals at 410-730-3399.